The HTC One X is the newcomer to the majestic Android family. 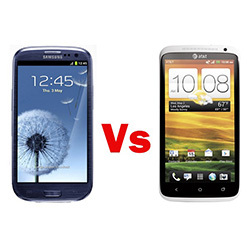 Let’s see how it fares when pitted against the Samsung Galaxy S III, the phone that has crossed the 30 million sales mark. Both devices have big screens and 8 MP cameras. Let’s take a look at all the details to find out which is best suited for you.